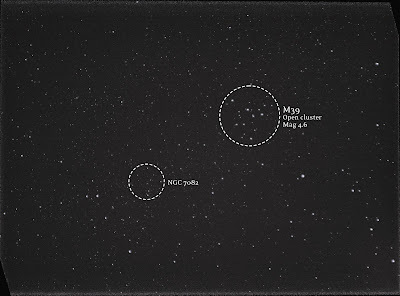 M39 was the "one that got away" last month, as I was one object shy of claiming my observing certificate. 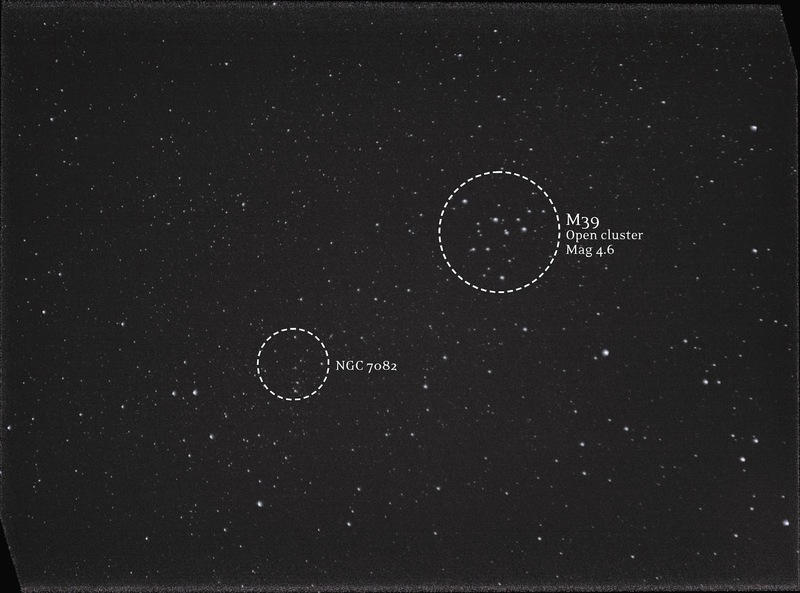 Since one of my new targets, NGC 7243 (Caldwell 16), was nearby, I decided to hop over to M39 and bag it so I could begin the October observing list with a clean conscience. I also saw the Coccoon Nebula while I was cruising the area in Stellarium, so I thought I'd give it a go as well. 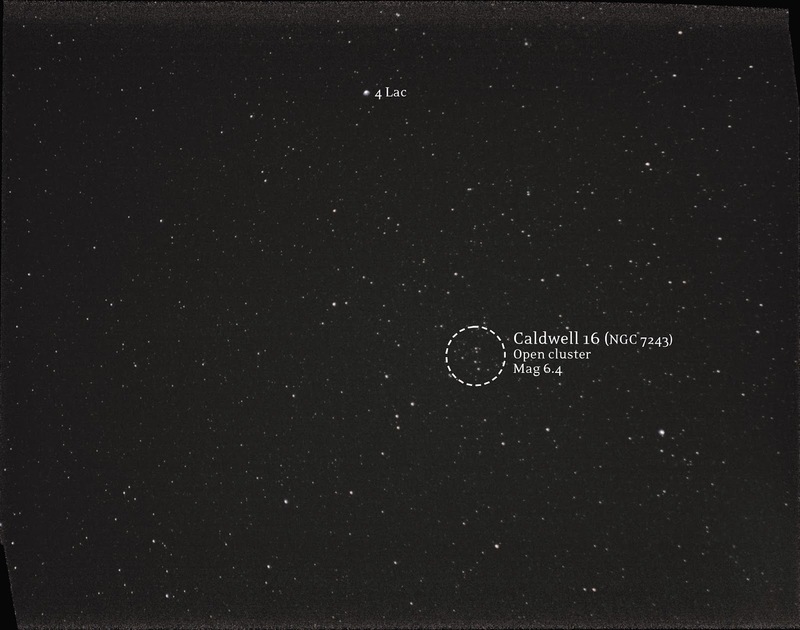 This was my first time learning about the Caldwell Catalogue, as NGC 7243 also holds the designation C16. 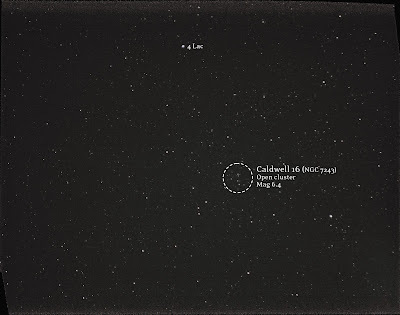 I was surprised to learn that the Caldwell Catalog is very new! By Wikipedia's accounts, it was published in 1995. 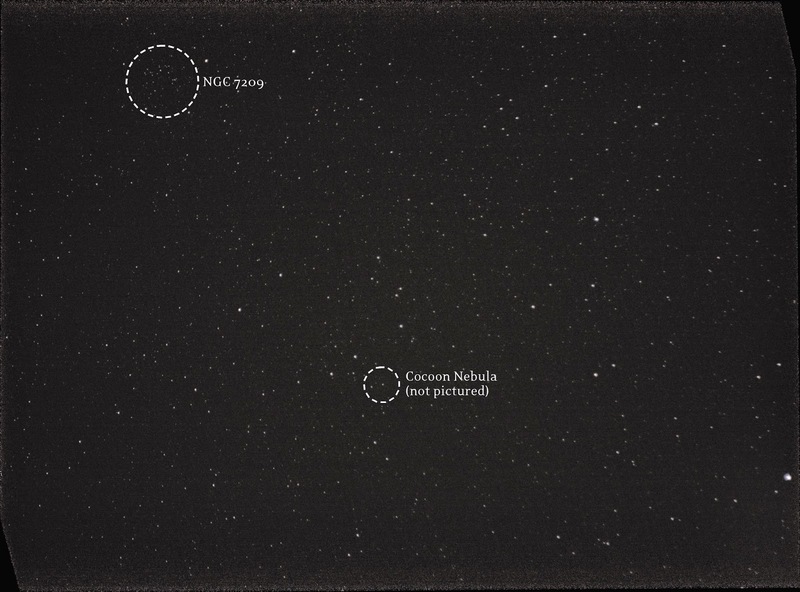 It includes a lot of the interesting deep sky objects not included in the Messier Catalog - some of which I've already photographed. 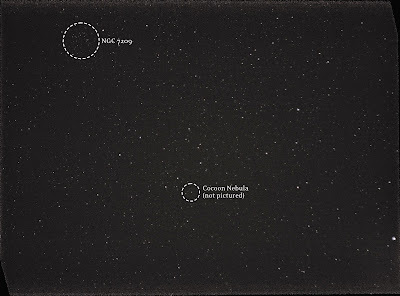 It's nice to know that there is no end in sight to the list of interesting things to scout out in the night sky. I am not even 1/3 done with the Messier list and now I've got a glimpse of other challenges waiting to be tackled.